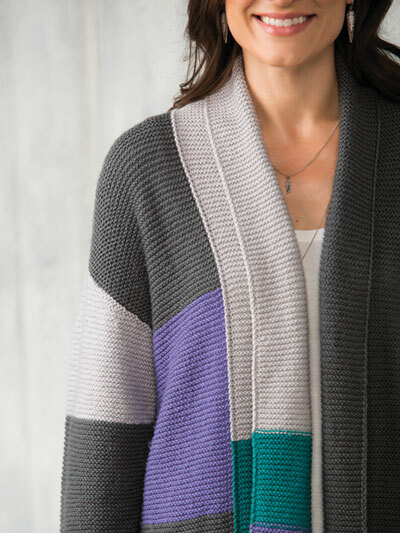 Knit in your favorite colors! This color-block pullover will keep you warm and stylish. Choose your four favorite colors for a sweater that's uniquely yours. Knit with four color of sport-weight yarn using U.S. size 6/4mm needles. Design was originally published in Creative Knitting Winter 2018. Chest: 37 (40, 44, 48, 52, 56)"